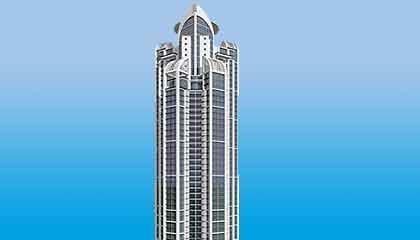 Located off the Bannerghatta Road, Mantri Pinnacle, twinkles like a jewel in Bangalore's crown, boasting of the tallest residential towers in South India. This 502 feet edifice that is truly an uncompromising & pioneering approach to design and build, offers you 3 & 4 BHK super luxury homes spanning 2200 - 3595 sft. A gold rated green building with centrally air conditioned flats, Mantri Pinnacle brings forth the innovative concept of fully automated & smart digital homes. The world class facilities like, a clubhouse, swimming pool, Bang & Olufsen Mini Theatre, digital gaming zone for kids, massage rooms, designer landscapes and more, reinforce our belief that you deserve nothing but the best of everything. These palatial homes adorned with modular kitchens, imported marbles & laminated wooden floorings compliment the posh lifestyle. Now you can discover the ultimate pleasure of breathtaking views from these incomparable dream homes from where even the twilight star will seem within your reach! It is unlikely that any other property will rival these magnificent homes now or ever. Mantri Pinnacle enjoys a location that suits every aspect your convenience. You will find schools & hospitals of international repute,like the Ryan International School, Presidency, Innisfree,Fortis Hospital, Apollo Hospitals, Jayadeva Institute of Cardiology etc nearby the property premises. It is also close to IT majors that includes, companies like Honeywell, Oracle, IBM, Convergys, Accenture and a host of many others as well. The property has the priviledge of being neighbours to a host of popular residential projects like Mantri Residency, Mantri Paradise, Mantri Woodlands etc Many fun & entertatinment spots like Shoppers Stop,Meenakshi Mall, Big Bazaar,etc are found nearby Mantri Pinnacle. This Bangalore property happens to enjoy easy access to developed residential areas like Jayanagar & JP Nagar. The site is only a few minutes drive away from the Electronic City.